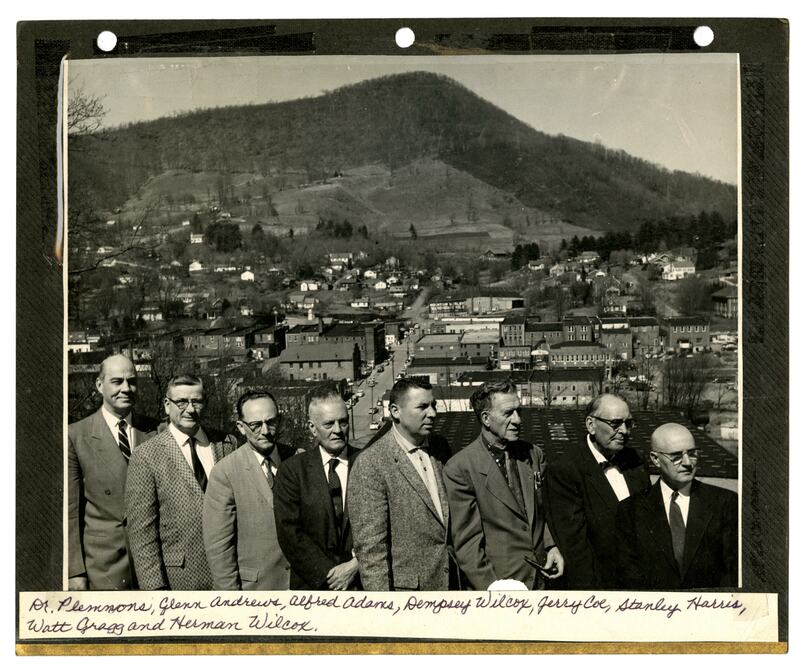 Black and white image of Dr. Plemmons, Glenn Andrews, Alfred Adams, Dempsey Wilcox, Jerry Coe, Stanley Harris, Watt Gragg, and Herman Wilcox. The men are standing on a hill just south of present-day Rivers Street with Downtown Boone laid out behind them. 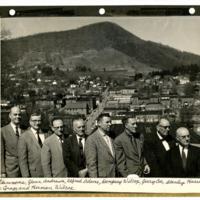 “Group of Boone Men, Circa 1960,” Digital Watauga, accessed April 25, 2019, http://digitalwatauga.org/items/show/1990. 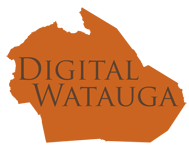 All content on this website is ©2015-18, Digital Watauga Project, Watauga County Historical Society, and Watauga County Public Library unless otherwise indicated.